While attending my “30-something” class reunion last fall, a classmate and I were exchanging names of various artist who we had become fans of but others might not have heard about. 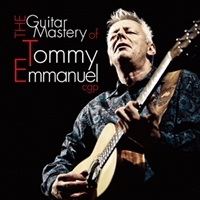 In the course of the conversation, she mentions the name, Tommy Emmanuel, whom I haven’t heard of until then. She raved about how great this guy was on the guitar and strongly encouraged me to check him out. She assured me that my feeble mind would be blown. I scoured YouTube for some of his performances and was entertained by a rich list of some of the best covers of some of the more memorable songs from the last 50 years. There were also lots of video of Emmanuel performing some of his own creations, most notably, Initiation. 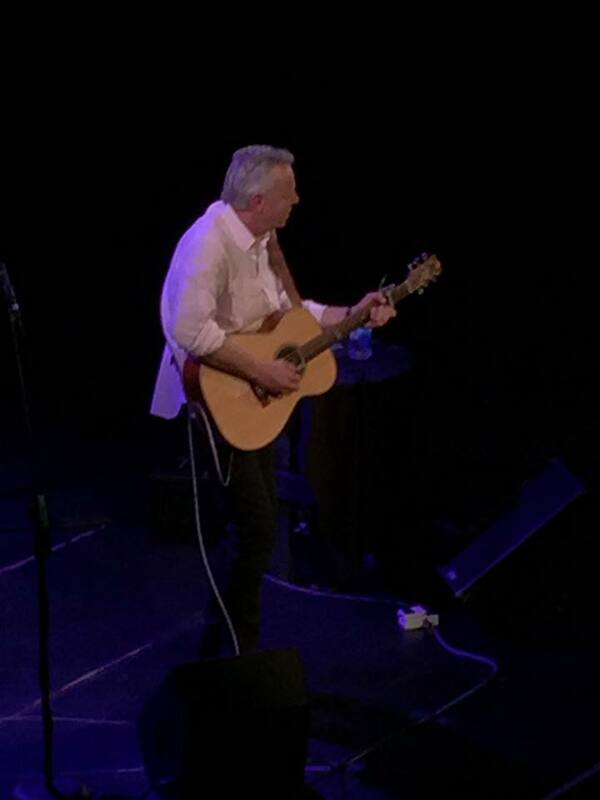 It was that last song that sealed the deal with me, making me a new Tommy Emmanuel fan for life. 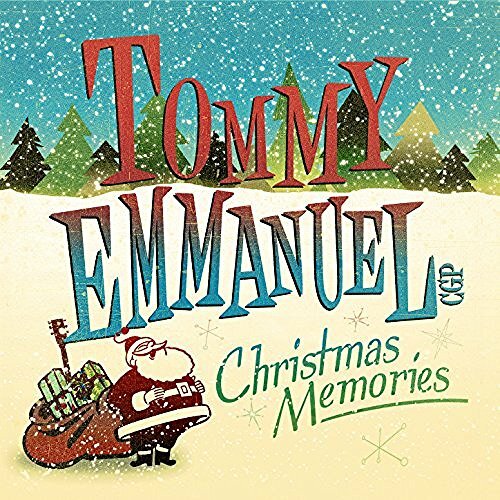 Further research showed me that Emmanuel was performing professionally with his family’s quartet by the age of five and performed all over Australia by the age of 10. Tommy and his brother, Phil, were appropriately deemed child prodigies, further broadening their appeal to Australian audiences. His fame and appeal has continued to grow, eventually branching out well beyond the shores of his homeland and to audiences around the world. 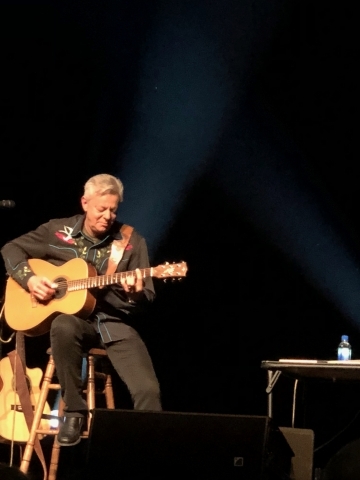 Naturally, I wanted to speak with this acoustic thunder from down under and was fortunate to line up a phone interview during the Knoxville stop during his U.S. tour last October. The engaging warmth and conversation that I saw in the concert videos were evident during our chat. I began our conversation by asking him to, for benefit of the uninitiated U.S. crowd who might not have ever heard of him, how would he introduce himself? Tommy continues by segueing from his introduction to sharing how his love for music and entertaining was nurtured. “My mother gave me my first guitar for my fourth birthday but I didn’t play in public until I was five. She showed me how to play rhythm for her. She was playing the lap steel guitar at that time. We both loved to try to make music together. “My brothers and sisters all took up instruments as well. My brother, Phil, my older brother, he has a similar gift to me except he approaches things in a different way. When we were kids, I was the rhythm player and he was the lead player. He would learn a song – he could figure it out pretty quickly – and he would say, ‘Here are the chords’ and then I would learn the chords and the structure of the song and then we’d play it together. 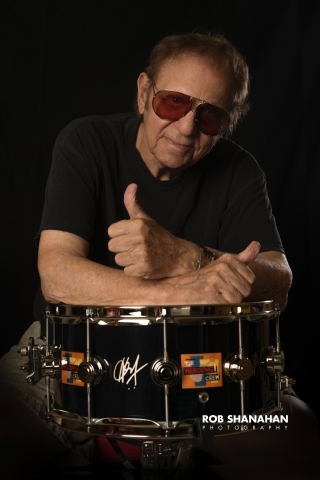 “Then, when I got a little older, I discovered that, because I’m an ear player – I play everything by ear – I don’t read music, I never had any formal training of any sort - I discovered that I could figure out a song pretty quickly and hear the pattern in the song and work out where the song went. I got interested in song writing and that’s when my world exploded and that’s when I discovered that I could write songs and that I had a gift in music somehow. “Of course, being on stage is whole different thing to being a song writer. It’s like two different roles. I loved being on stage. I loved performing. I loved getting a reaction from the audience. I loved making the audience laugh and surprising them. We’d be doing a song and I’d dance across the stage and people wouldn’t expect it. Stuff like that. I discovered that that was what I enjoyed the most was to make people laugh and to feel good and to take their mind away. “These days, what I do on stage is I use every element of whatever I have to distract people from whatever they’re thinking and take them into another space kind of thing- make them feel good. So, I try to dazzle them with whatever technique I’ve got. I try to disarm them with the fun that I have and then make them laugh at me laughing at myself. So, it’s like I’m the Three Stooges in one person.” He says with a laugh. When I made a comment based on the assumption that he only played acoustic guitar, Emmanuel politely corrected me. 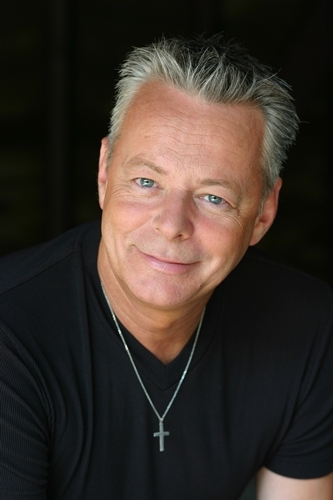 The video of Tommy’s performances revealed that he is as also a master in the use of the electronic effect known as delay. I asked him what inspired him to use delays and if there was somebody who used them that who inspired him. Ah! The great Chet Atkins! My pre-interview research revealed that Emmanuel discovered the incredible talent of Chet Atkins in 1962, becoming a lifelong fan of Mister Guitar, spending countless hours as a student of learning Atkins’ style of playing. He established a long distance friendship with the guitar great via mail and, 18 years after first being turned on to him, finally got to meet his idol and established a close friendship until Chet’s passing in 2001. I asked Tommy about his relationship with Atkins. “Yes, I wrote to Chet when I was eleven years old. He wrote back to me. We became kind of pen pals with me living in Australia, of course.” He then shares what his first thoughts are when he thinks of Atkins. “Oh! There’s so much! He was like a daddy to me. He was a innovator. He was a great leader. He was a great organizer. He could put the right team together to do a certain project for a certain artist. He knew exactly who had what gift. He was very clever in that way. But the thing I learned the most about Chet was look for a good song and look for a melody that touches your heart and your soul and play it for people. “Before he died, we had a beautiful day together. There’s a song he used to sing for his dad called I Still Can’t Say Goodbye. He asked me to keep singing that song. He said, ‘When I’m gone, I want you to sing that song.’ I said, ‘I wouldn’t do that. That’s sacred to you.’ He said, ‘You don’t understand. People need to hear that. That’s what’s important and therein lies the lesson. Forget what you think. Do what you know is going to be good for other people.’ That summed him up perfectly. As he wraps up his thoughts about the lessons he learned from Chet Atkins, Emmanuel shares the thoughts of a man truly in awe of the blessings in his life and the lessons he has been fortunate to learn. Who else has inspired and influenced Tommy? “Oh, man, there were so many! Last night, I watched Carole King and James Taylor. They’re two of my favorites. I draw a lot of inspiration from those two. Carole King’s songwriting is just on a level that’s just so stellar – so beautiful. Same with James. Having graced stages and delighted audiences all over the world, I asked Tommy if there was any place he hasn’t performed yet. 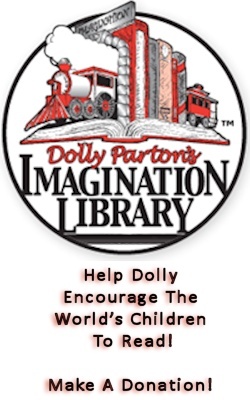 I’ve read lots of interviews, biographies and autobiographies where an artist gets bored with what made them famous and no longer derive satisfaction from their work. With that in mind, I asked Tommy what is the biggest thrill or satisfaction he gets from his work. As I stated at the beginning of this article, I was particularly blown away by Emmanuel’s composition, Initiation. I asked him what inspired that song and how long did it take him to put that piece together. 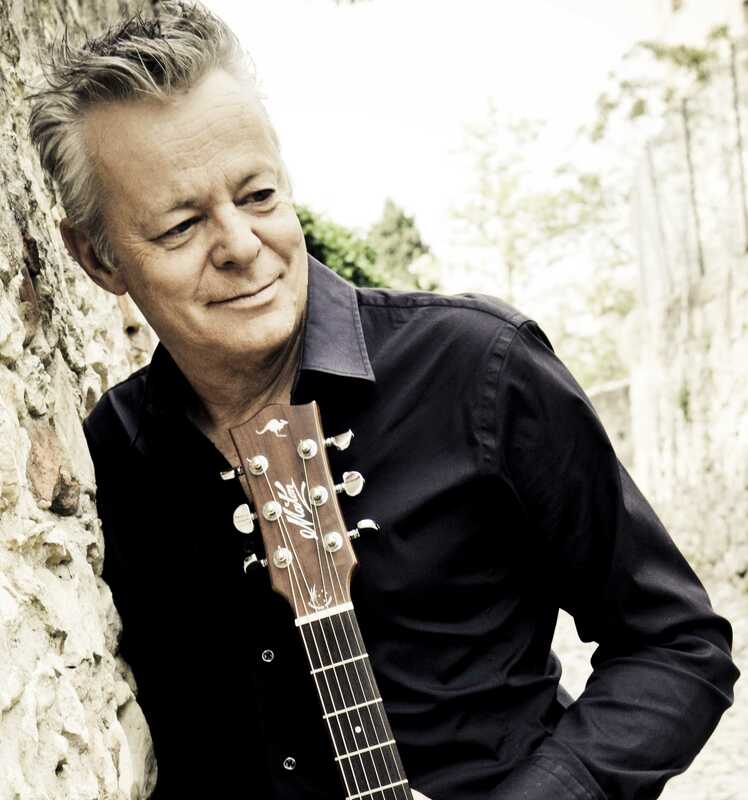 Tommy Emmanuel has played on some well known hits and performed with some pretty big names. Thinking of that, I asked him a two part question. First, what kind of project would he like to do that he hasn’t done yet? Second, who hasn’t he played with, on stage, on record or in private that he really wants to play with? “I’ve fulfilled a few goals – a few lifetime dreams in the last year. Larry Carlton was my guest a couple of weeks ago in Austin. I’d love to work with Larry more. He’s one of my big influences and one of my favorites. And the other guy that I got to really know and would love to work with is George Benson. They’re two of the guys that I would love to play with and love to work with. Almost as an aside, Tommy dropped this bombshell on me. The Jackson album Tommy referred to did, in fact, come out in December. Entitled, Michael, it does include Much Too Soon and is a phenomenal piece of work. Congratulations, Tommy! 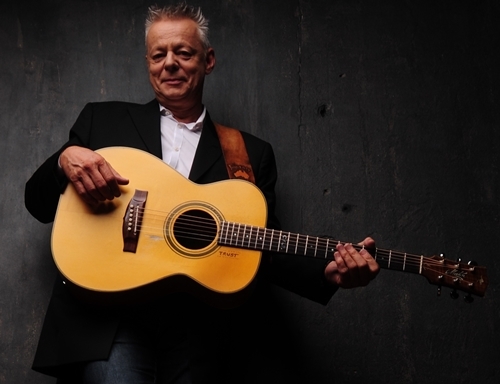 For the pure musician Boomerocity readers out there who are learning of Tommy Emmanuel for the first time, I asked him to share what kinds of guitars he plays. “So, if you want an acoustic guitar that you can mic up or, more importantly, you can plug in and get a good sound, there’s no guitar like a Maton guitar. 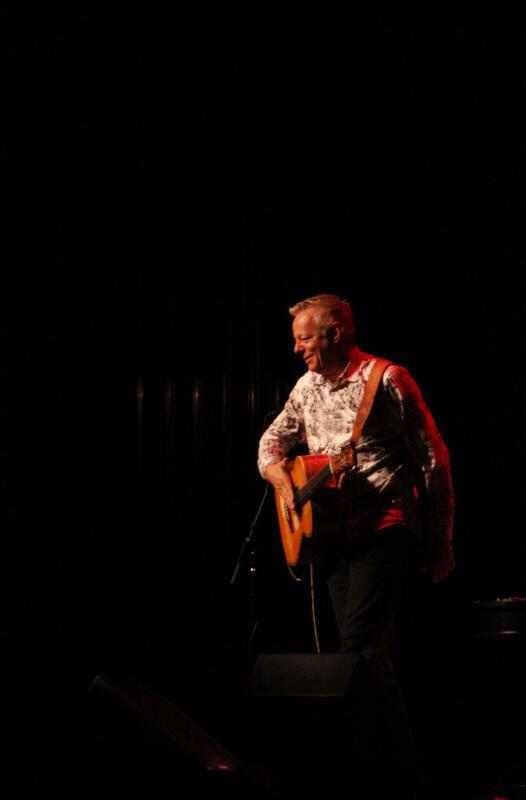 As you can see by the finishes on my guitars, they can take a beating, too!” He concludes with a laugh. 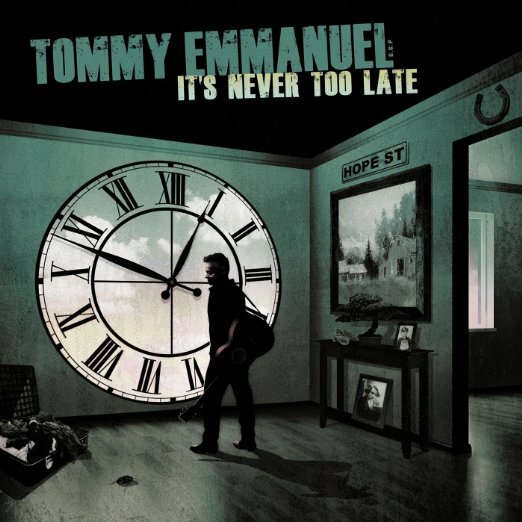 After my chat with Tommy, I was struck by the fact that it took me so dang long to discover this gifted artist. 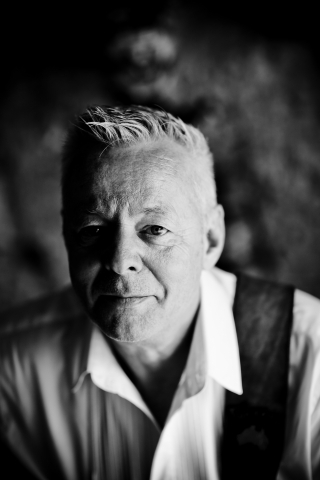 So that YOU won’t be the last one on this fan train, I would encourage you to tell others who love great guitar work or gifted entertainers about Tommy Emmanuel. 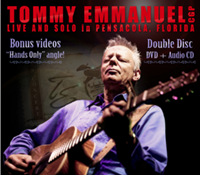 You can keep up with the latest news with Tommy Emmanuel by signing up for his mailing list at www.tommyemmanuel.com. If you don’t order any of the music flagged in the pages of this interview, then you can certainly order his great CD’s, DVD’s and other great times from his online store. Oh, and, of course, you can be among the first to know when he’s going to appear at a town or city near you – wherever you are in the world.